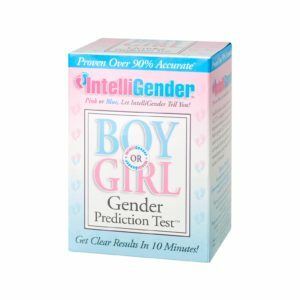 Order your IntelliGender® Gender Prediction Kit online today! Buy with security and ease with our Online Ordering System. Just head to our online store here and follow the easy step by step process. Early Image IntelliGender® accepts most major Credit Cards. All transactions are processed in Australian Dollars (AUD). Call us anytime on 03 9529 7433 and we can take your order over the phone. Send an email to us at support@boyorgirl.com.au and a member of our friendly team will call you on the same business day. For deliveries within Australia, the cost is AUD$11.00 including GST for Australia Post Express Post. Kits are shipped within 24 hours of receipt of your order by Australia Post. Delivery can take between 3-5 working days. For deliveries overseas shipping is AUD$15.00 including GST. Placement of an order constitutes entering into the terms and conditions set out in this section. We will confirm your order by email. You will receive confirmation that your order has been processed and an electronic invoice. Our agreement with you comes into existence once we have confirmed your order and your payment has been processed. Orders will not be dispatched until payment in full has been received. If you wish to cancel your order, please contact us immediately on 1300PINKORBLUE. Once payment for an order has been accepted, cancellation is at our discretion. Cancellations are only possible if the kit has not been shipped. Once the kit has left our premises cancellation will no longer be possible. In the unfortunate event that your IntelliGender® test kit has been damaged through the delivery process, please call us on 1300PINKORBLUE to organise for the unopened kit to be returned and a replacement organised. We do not give refunds if you simply change your mind or make a wrong decision. You can choose between a refund, exchange or credit where goods are faulty, have been wrongly described, are different to the product purchased on the website or doesn’t do what it is supposed to do. We are committed to providing exceptional customer service and we endeavour to make sure that all products listed on our website are currently in stock and pricing is true and correct. Standard delivery timeframes are between overnight next business day and 10 business days; in the event that an ordered item is not available or we are unable to fulfill your order we will notify you within 2 business days to arrange an agreeable alternative item, a backorder or a full refund. We believe that the responsible use of personal information collected on our website is critical to our reputation and resultant success. We want you to buy your IntelliGender Gender Prediction Kit from us with complete confidence. Therefore we are an approved eWay merchant and our online store uses the eWay secure payment gateway. eWAY is a global online credit card payment gateway provider, allowing businesses to accept secure credit card payments online 24/7 from customers around the world. The eWay payment gateway uses SSL (Secure Sockets Layer) technology – the industry standard for encryption technology. SSL is the system that is used by all reputable e-commerce sites. SSL technology is compatible with most browsers. SSL encrypts all information (e.g. your credit card number) passed from your browser to our payment gateway, making it almost impossible to be intercepted by an unauthorised party, as long as your browser and local network supports the use of encrypted data transmissions. In order to maintain security of this information, credit card details will not be stored on our servers, but only used on an individual transaction basis (i.e., customers enter their credit-card details each time they order). We will not have access to credit card details entered on the web. We want to ensure that when you are doing business with us that it will be a rewarding and pleasant experience, and if you have any questions or problems, please feel free to contact us on 1300PINKORBLUE.